Bed Bugs leave and return? 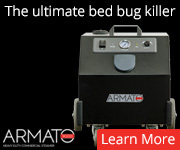 how to work when you have bed bugs? 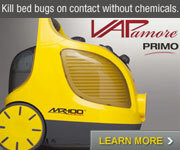 How do bed bugs leave the bed? Over the summer I found a bed bug infestation in my room. According to professionals, it was a mild infestation. At that time, it was common for me to get about 10 bites a night, and my legs and arms were covered in bites all summer. However, I couldn't afford professional services so I cleaned all of my sheets, pillows and blankets in hot heat. Then, I put a mattress encasement on both my mattress and box spring. I went about two and a half months without a bite. Then, all of a sudden, this week I've been bit twice. I saw one small bed bug, or what I thought was one, and immediately killed it when I saw it crawling on my wall. I am still not in a financial position to pay for an exterminator. Any suggestions to combat the issue? I am not being bit nearly as much and I feel like this is a mild case that I might be able to take care of on my own without spending $500. On a side note--I live in a townhouse and just noticed the big cracks I have in my walls. Do you think sealing these holes would help? 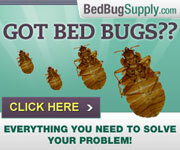 I am sorry to hear of your bed bug problems. What stands out to me here is that you were getting 10 bites a night -- apparently for months. 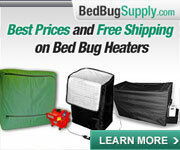 Keep in mind that one bed bug needs to feed about once a week. Some people get bed bug bites in pairs or threes, and experts suggest this may be because they start to feed, stop for whatever reason, and start again. So lets say that 10 bed bug bites can mean anywhere from 3-10 bed bugs fed on you each night, ball park estimate. That means that anywhere from 21-70 bed bugs were feeding on you every week. Over the course of five weeks, feeding once a week, a bed bug will go from a newly hatched 1st instar nymph, to a procreating adult. 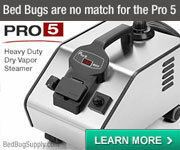 So your summer likely saw generations of new bed bugs being born. Even if we go with the low numbers, if your perceptions of the number of bites are accurate (and there are all kinds of reasons that skin reactions may not correspond to actual times you were bitten), then was is a sizeable problem. It's unusual but it sounds like you largely contained the problem by encasing and laundering. 1. One or more bed bugs survived outside of the bed. It may be that your infestation was mostly centered on the bed. It sounds like your procedures covered the bed (encasing, laundering linens, heat treating bed coverings and pillows). But even when most bed bugs harbor in one area like the bed -- and I gather that's often true before bed bug treatment -- there can be "outliers" -- bed bugs who strike out for new harborages. 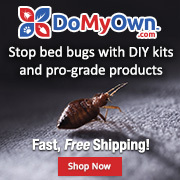 If you had one or more surviving bed bugs or eggs, it/they could have continued biting you, though since bed bug bites are an allergic reaction, it's possible you did not react when the number of bites was lessened. There may be other explanations. 2. Encasements could have a tear or exposed zipper end stop which allows bed bugs to escape. 3. Attached neighbors have been sending bed bugs over. 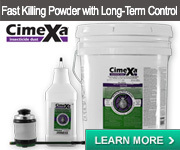 If this is so, sealing can help, but experts seem to say treatment comes first. 4. 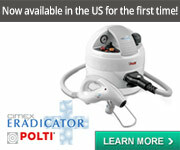 You have reintroduced bed bugs from outside (original source or a new one). I would not discount this as a possibility. These are just some possibilities.